The Ram 2500 is engineered to deliver outstanding performance in the toughest of conditions. The 2500 is available in multiple trims with the choice of a gas or diesel engine. It also has Best-In-Class Max Gas Towing of 16,320 Pounds, available class-exclusive rear auto-level air suspension, and five-link rear coil suspension. 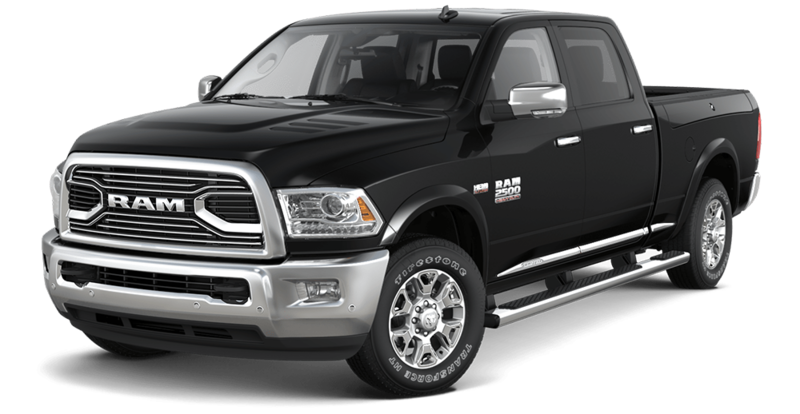 Ram 2500 is outfitted with exterior features designed to help you bring along all the tools and equipment you need for the job. Including but not limited to, available Factory-Installed Fifth-Wheel/Gooseneck Prep Package,, available LED Bed Lighting, and available Cargo-View Camera. The rugged power of a Ram truck meets the comfort of a luxury interior. The 2500 is designed with the comfort of it’s passengers in mind, giving every surface the utmost attention to detail. Ram Heavy Duty trucks combine to keep your truck going for as long as you do. Let’s face it, buying a car is one of the biggest decisions in your life. That’s why the sales team at Quirk Chrysler Jeep Dodge Ram in Dorchester strives to make the buying experience as simple as possible. By providing you with excellent customer service by our knowledgeable sales team, you’ll drive away happy in one of our many brand new models, with any and all questions answered. We don’t just sell cars, we also service all makes and models. But our certified techs specialize in Chrysler, Jeep, Dodge and Ram. Upon leaving the dealership, whether you’re buying or receiving service, all of your vehicle needs will be fulfilled. **With approved credit. Terms may vary. Monthly payments are only estimates derived from the vehicle price with a 72 month term, 2.9% interest and 30% downpayment. All lease based on 10k miles/year. Tax title, acq, sec, reg, inspection and doc fee additional, must qualify lease conquest inventive, available to current lessees of competitive non-chrysler vehicles. Extra charge may apply at lease end. Must qualify for tier 1 credit. Finance bonus required finance through chrysler capital. 0% finance in lieu of rebate. Requires trade-in of any vehicle to qualify. Subject to program change without notice. All transaction must be complete at time of sale. By submitting you agree to our terms and conditions . $299 documentation fee not included in final price. $20 per $1,000 borrowed. Security deposit not required. Residency restrictions apply. Stock #D7107. sale ends 04-30-2019.